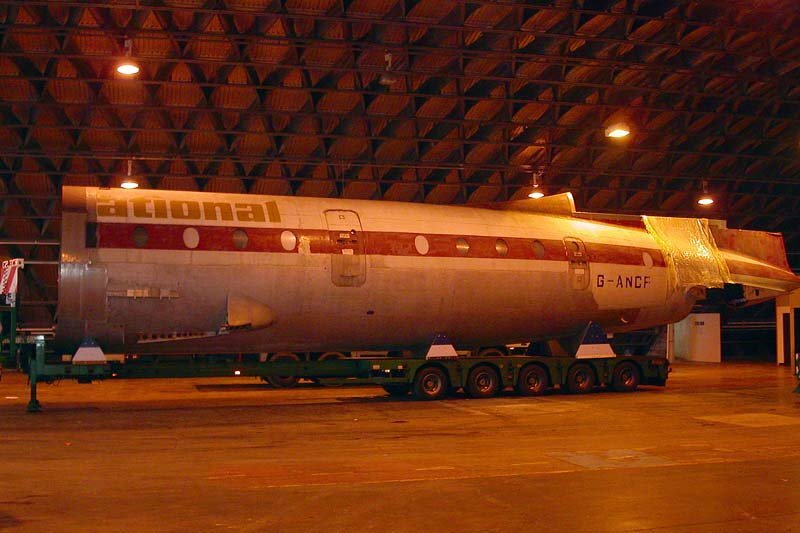 The future survival of Bristol Britannia G-ANCF, long term resident of the Bristol Aero Collection (BAC) at Kemble, is now seriously in doubt. In the last few weeks the BAC have relocated to another hanger at Kemble which is significantly smaller than the hanger the collection has been displayed in. Because of this, the BAC can no longer accommodate Britannia G-ANCF and therefore her immediate survival is looking grim. 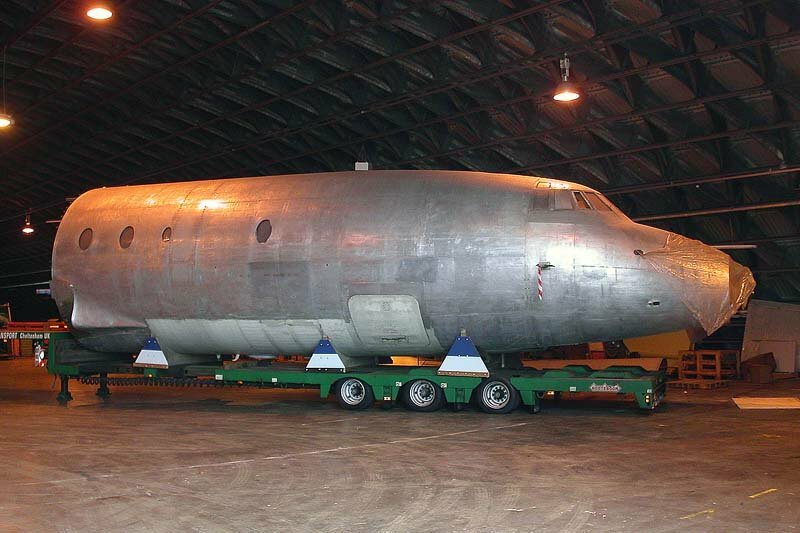 At one time it had been hoped the aircraft would have been a major feature within the proposed Filton Aviation Heritage Centre but with the news that the collection can no longer accommodate her, this seems unlikely to come to fruition. 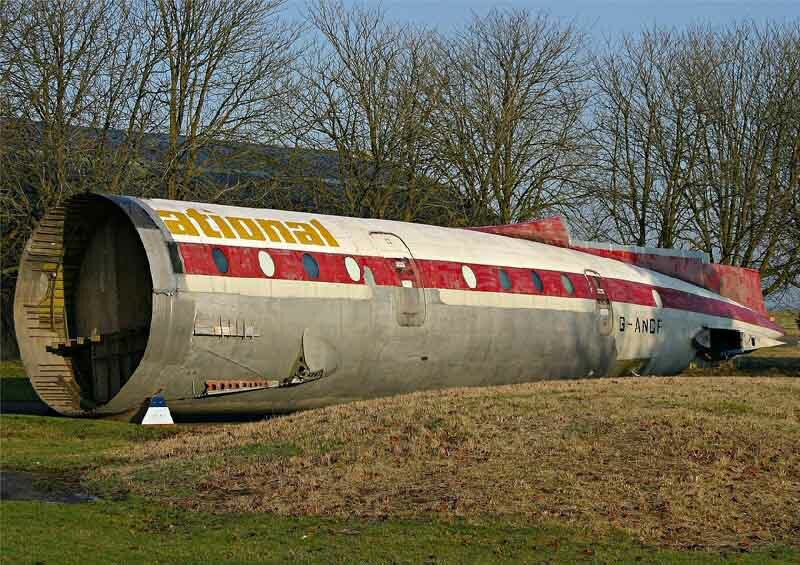 Whilst the BAPT are sure that this news will cause a great many enthusiast's to be disappointed when they learn a Britannia will not be part of the Filton museum, the immediate focus for the BAPT is to either secure a short term or permanent home for her. It must be noted that besides G-ANCF, only 3 other Britannia's remain as complete exhibits. XM496 also at Kemble and looked after by the Bristol Britannia XM496 Preservation Society, G-AOVT at Duxford and G-AOVF at Cosford (currently the subject of much debate). Although G-ANCF is currently dismantled and has been for many years, she is very much a complete airframe and could be reassembled relatively easily given the time and manpower. If she had made it to Filton one of the proposals was to exhibit her in a partly stripped down condition to help people learn about airframe construction while another plan was to have her reassembled as a walk through exhibit having been painted in the colours of British Eagle who she once flew with. 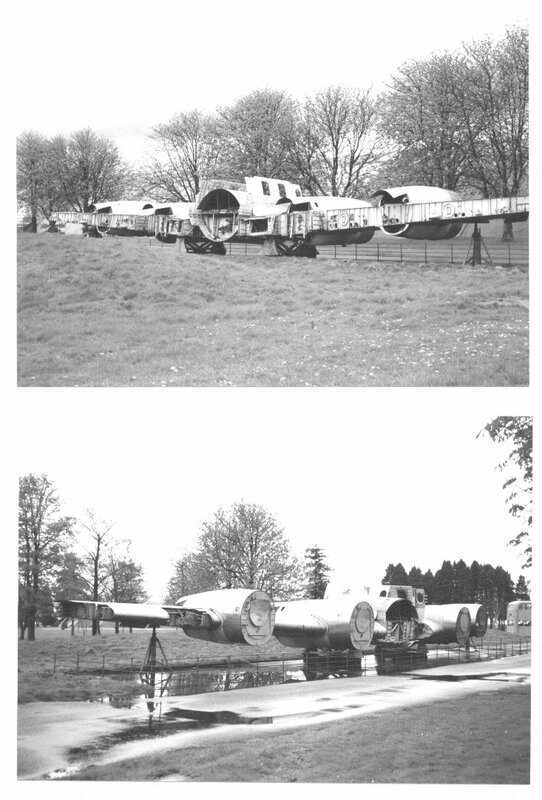 Picture Courtesy of "George Sholto Collection"
Picture Courtesy of "Michael Kelly"
She is now outside at Kemble and exposed to the elements and owner Roger Hargreaves is looking for a suitable home. Clearly the Britannia is a large aeroplane and this will limit somewhat the preservation possibilities but she deserves to be saved and in her current condition can be easily transported by road. and we'll pass it on to Roger.